All New! NanoSmooth Pure® – Keratin smoothing system . Applied in the salon for a safe bond Reformation Soft Smoothing and Complete Smoothing (Straightening) service. restructuring hair bonds to a straight formation for soft straight hair fibres. Unlike previous smoothing systems, the treatment is completed in the salon on the day so that you can walk out of our door looking and feeling fabulous. Refine coloured hair and make it shiny, manageable and frizz free for up to 3 months. Uses naturally derived keratin to smooth frizz prone or unruly hair, it can also help reduce blow-dry time. A great pre-holiday treatment. The treatment is tailored to your hair and the smoothing effect should last up to 3 months*. Mini treatments also available which last up to 9 washes*, please ask us for more details. *must always use sulphate free shampoo. Olaplex® – “a hair revolution” started in the USA and has swept the world over the last couple of years. It was only approved for use in the UK last year and we were one of the 1st salons approached by it’s UK distributors. If you remember Kim Kardashian’s miraculous black to blonde transformation … that was done with the use of Olaplex® in the bleach. 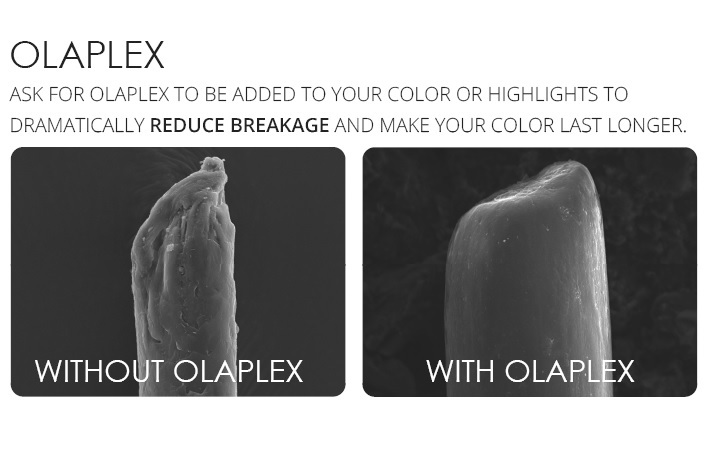 Colouring and bleaching break the bonds in the hair and Olapex® remakes those broken bonds. It enables colour services we would not normally attempt. Olaplex® is a 3 stage treatment, stages 1 and 2 are salon exclusive and can be applied as a stand-alone treatment or as a colouring supplement. *Stage 3 is a take-home top up treatment available at reception. 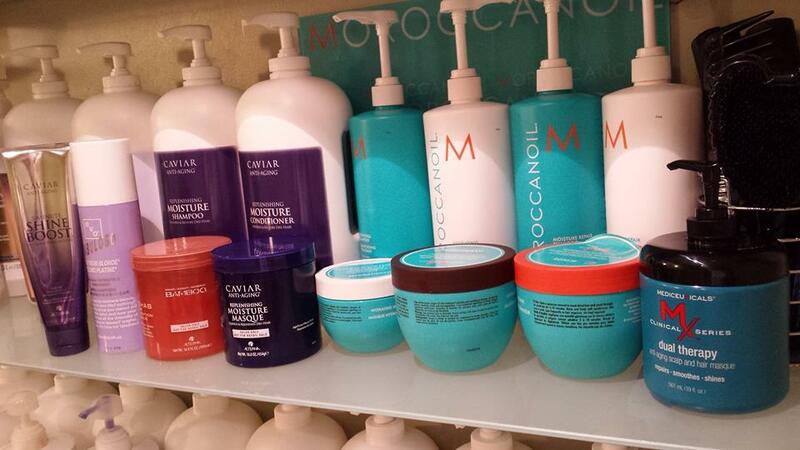 Moroccanoil Moisture – We offer 2 x types of moisturizing Moroccanoil treatment mask. *Intense Hydration Mask – a great moisture boost for dry or damaged thick or normal hair. *Light Hydration Mask – fine hair gets dry and unmanageable too, the Moroccanoil Light range is 40% lighter than the original range and this gives a great moisture boost to fine hair without weighing it down. Morocanoil Repair Restorative Mask – Overheated, brittle, split, snapping, damaged hair needs a real protein boost. We only leave this mask on for 7 minutes, but it really makes the most of its time with your hair. We also need to add a conditioner after this treatment. Alterna Caviar RepairX Fill & Fix Treatment Masque – The Caviar Repair range is our salon go to the range whenever extensive repair is required! The entire range is packed with protein and ingredients that repair the hair from the inside out. We have seen amazing results on hair that has been badly bleached and look like chewing gum or candy floss! Also a great plumping treatment for fine hair. Caviar RepairX With Strand-Building Proteins. For Damage-Free Hair. Infused with Strand-Building Proteins that target damage at the microscopic level, restoring hair to it’s healthy, pre-damaged state. Offers instant improvements in strength, frizz control, softness and shine. *Alterna Caviar AntiAging® Replenishing Moisture Masque – An intensive moisturizing treatment, replenishes moisture starved strands, leaving hair smooth, silky and youthfully restored. Caviar Moisture contains Age-Control Complex®. An age-defying perfect blend of ingredients like Caviar Extract and Vitamin C to fight intrinsic ageing as well as thermic, chemical and environmental agents that reduce the vitality and vibrancy of your hair. 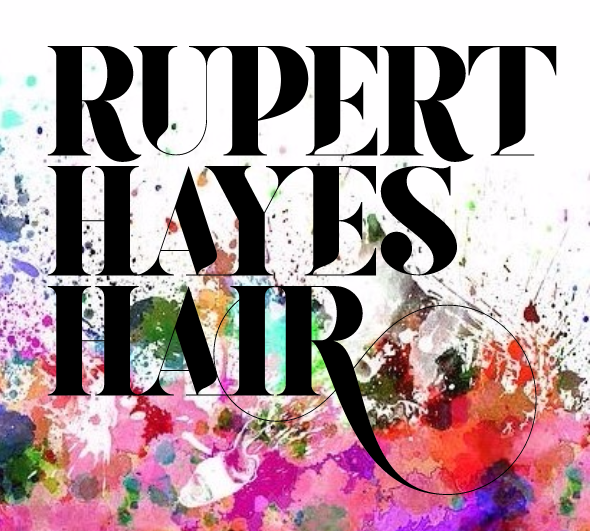 The sulphate and paraben free formulas are ideal for daily use on all hair types.